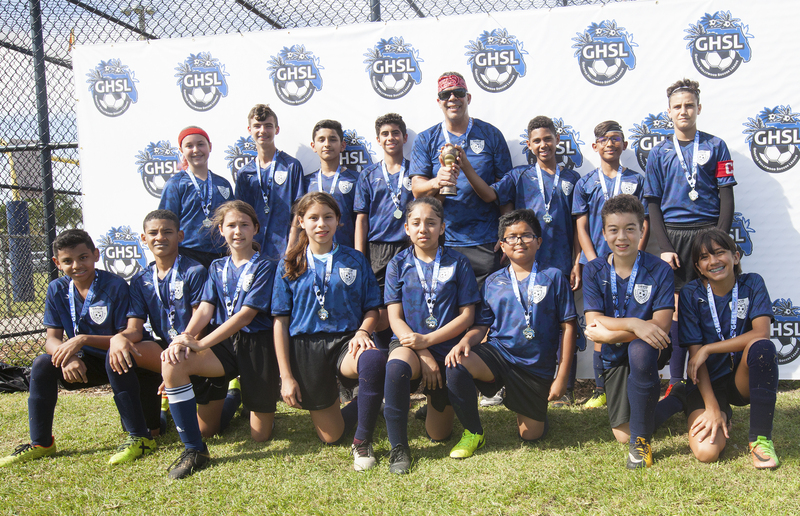 PEMBROKE PINES — The Sonic Blast youth soccer team enjoyed a perfect ending to a perfect season. The team, which features a trio of players from the Seminole Tribe (Sam Josh, Xiya Osceola, Xavier Osceola) and is coached by Tribal employee Kenny Bayon, capped off an 11-0 season March 10 with a 2-0 victory against the Tsunami of Sunny Isles in the Greater Hollywood Soccer League’s U14 winter league championship game at Pembroke Pines Recreation Center. 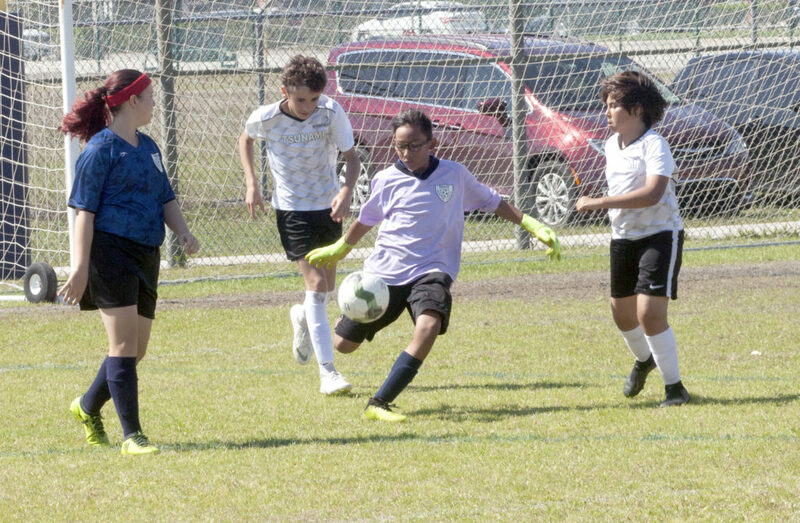 The Sonic Blast, which received two goals from forward Yoelkis Rodriguez, kept the Tsunami off the scoresheet thanks in part to flawless goaltending from Josh, who posted his sixth shutout of the season, and tenacious defense from Xiya Osceola in the backfield. (Xavier Osceola did not play in the game). Although the game was evenly played, there were portions when Sunny Isles applied strong pressure and Josh needed to be sharp to keep them scoreless. He batted away a couple corner kicks. Josh stepped up for the team by stepping into the role of keeper at the start of the season. “He was playing wing and we needed a goalie. We tried him at goalie and he played awesome,” Bayon said. In front of Josh was a rock-solid defense that included Xiya Osceola, one of five girls on the team in a league that features nearly all boys. In the championship match, she won physical battles for the ball and didn’t get beat all game. Xiya’s brother Xavier, who also plays basketball, provided plenty of scoring punch during the season. He scored three goals in a game against Miramar. In another game, the Sonic Blast trailed by a goal, but rallied for a 2-1 that Bayon said was due in part to Xavier’s strong passing. “He’s good at dribbling and passing. His basketball skills show on the soccer field. He’s sort of the point guard of our team,” Bayon said. Bayon, whose son Kenden plays on the team, said he was proud of the entire team’s effort throughout the season. 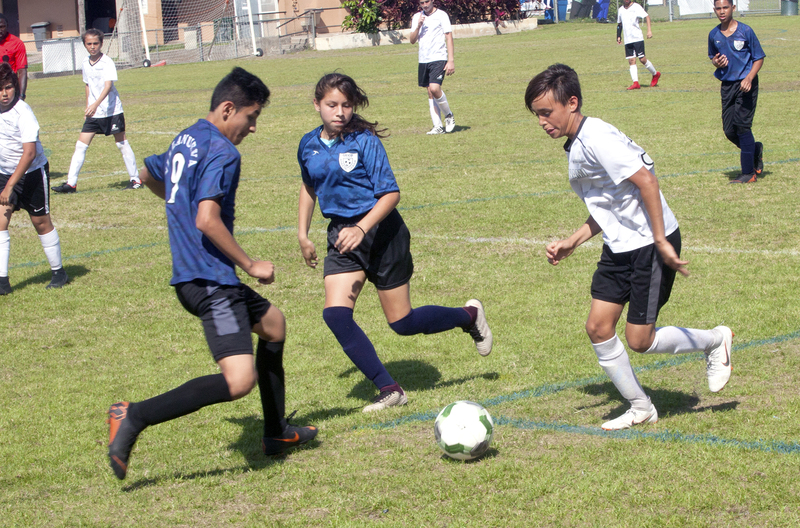 Even though it’s a recreation team, the Sonic Blast sought tournaments where it could face travel teams in order to prep for the playoffs. The team is sponsored by the Davie Police Athletic League.